The Sea Levels project was born out of a love for the environment, a concern over inaction, and a lack of simple to use educational tools. Almost all scientists agree that the global climate is changing, and that sea levels are rising, with an increase in the rate of rise very likely to be caused by humans. When it comes to action it is of no consequence whether the cause of climate change is man-made or natural – it still poses an increasing threat to humanity. We believe that education is an essential step for us as a species to find a solution. Whilst no mobile application can provide an answer, it can help by providing an informational tool. 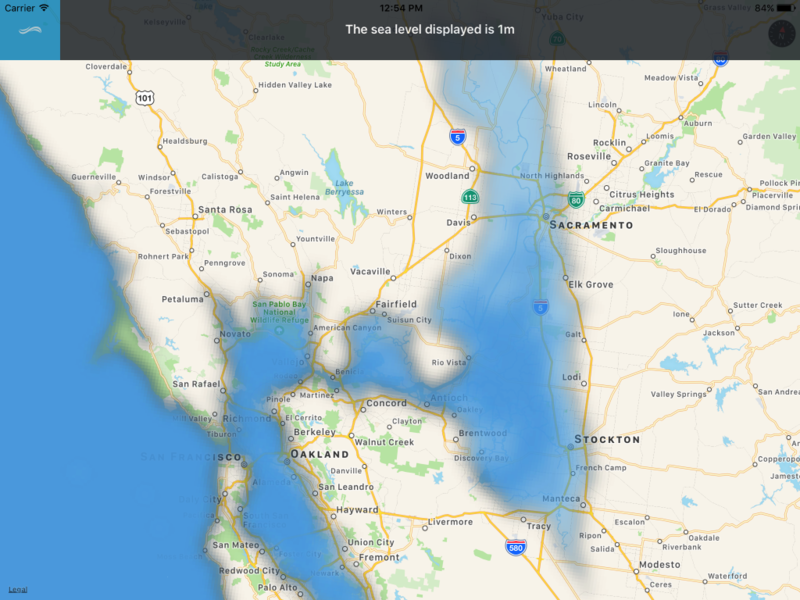 Initially created to simply plot the global effects of a sea level rise on mobile devices, the goals grew to incorporate data on cities at risk, species at risk, glacier locations, and coral reef locations. With those additions it was a natural expansion to include points of interest to show active and current data on various environmental elements, and allow research organizations to easily provide current data to be plotted on the map, in return providing direct in-app access to fund-raising links for those organizations . Our aim for data is to provide an centralized service for organizations to provide POI and quiz data which they would like to publicize and for users to easily access that data. Our goal for general users is to provide an application which is accessible by all ages, with an optional child friendly interface to present the data in a non-political, factual manner, removing donation links, allowing for the application’s use in education. 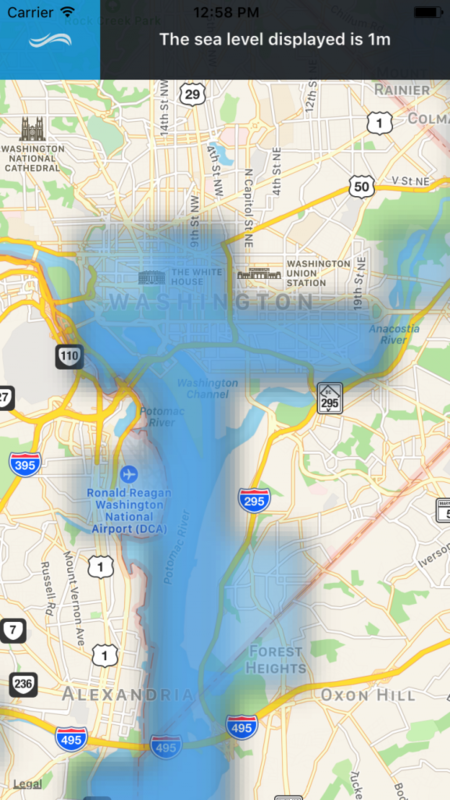 Mobile app screenshot showing Washington, D.C.